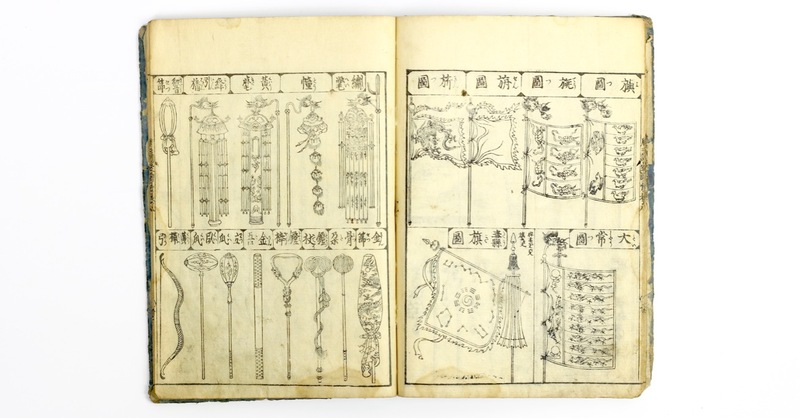 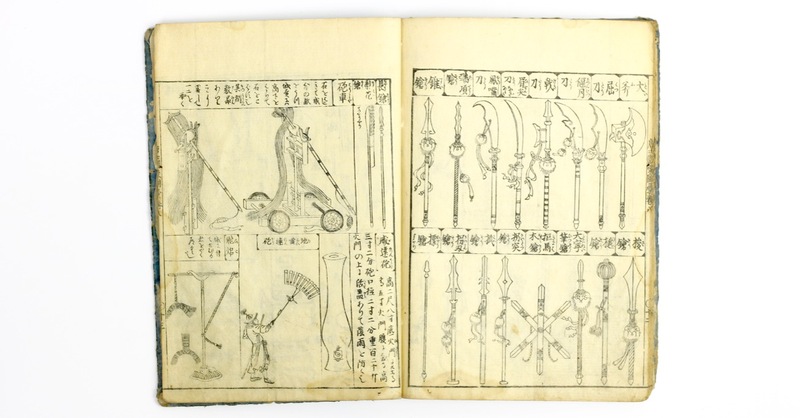 A Japanese volume from the 唐土訓蒙圖彚 or "Illustrated Encyclopedia of Things Chinese", it was published in the Kyoho period: 1716 to 1736. 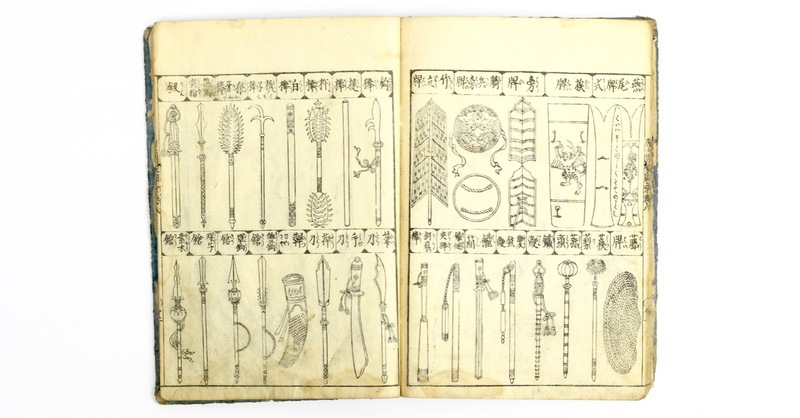 (This edition is probably from 1719.) 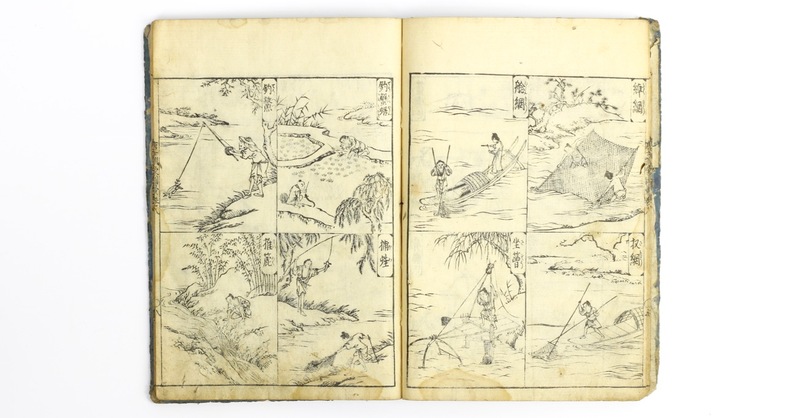 It's a woodblock printed volume with artwork by the hand of the famous Tachibana Morikuni. 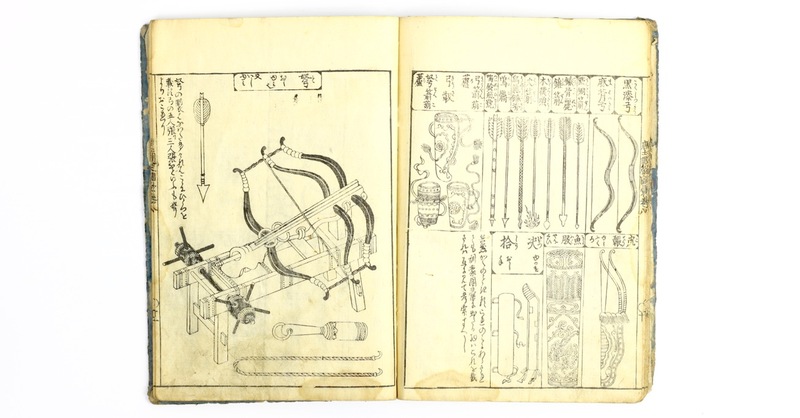 Tachibana Morikuni was clearly inspired by Chinese texts that somehow made it to Japan, possibly smuggled, but it deserves mention that all the technology describes is from the Ming or earlier. 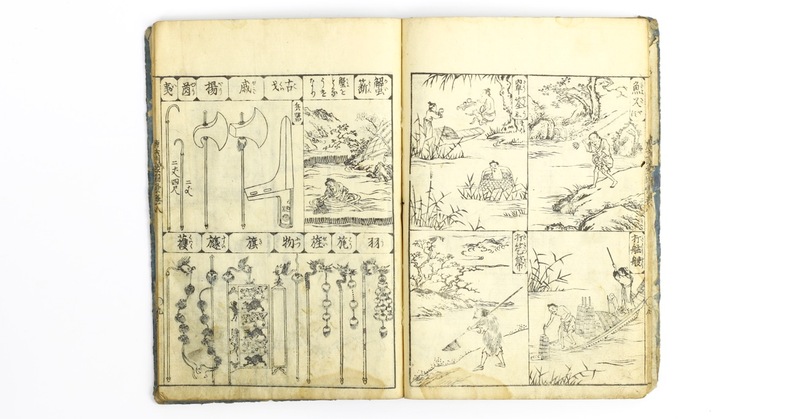 Most of the illustrations seem to be re-drawn from old Chinese military classics like the wubeizhi and wujing zongyao with also some illustrations I am not familiar with. 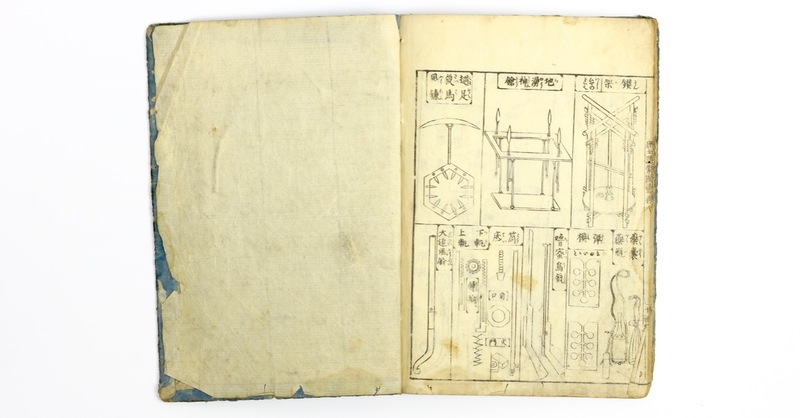 The book shows a keen Japanese interest in Chinese military matters. 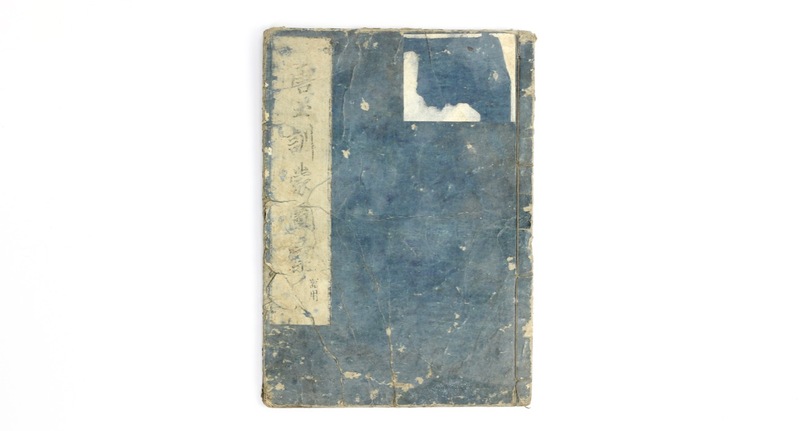 Similar works by Tachibana Morikuni are held in the Metropolitan Museum and Rijksmuseum in Amsterdam. 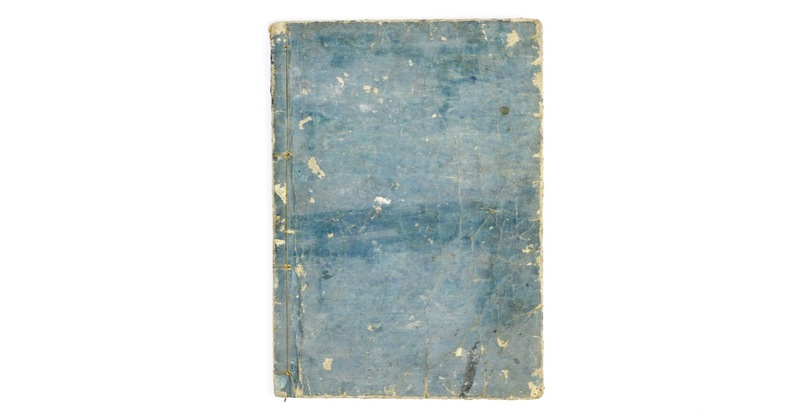 Book in aged condition on the outside, but very good still on the inside. 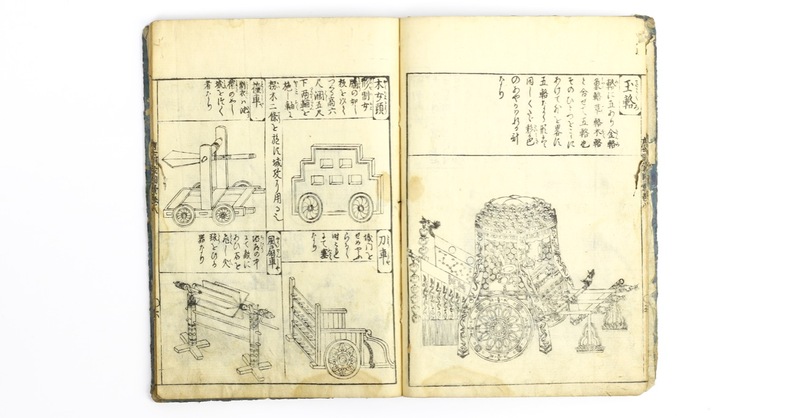 The woodblocks are very detailed and show off Tachibana Morikuni high level of skill. 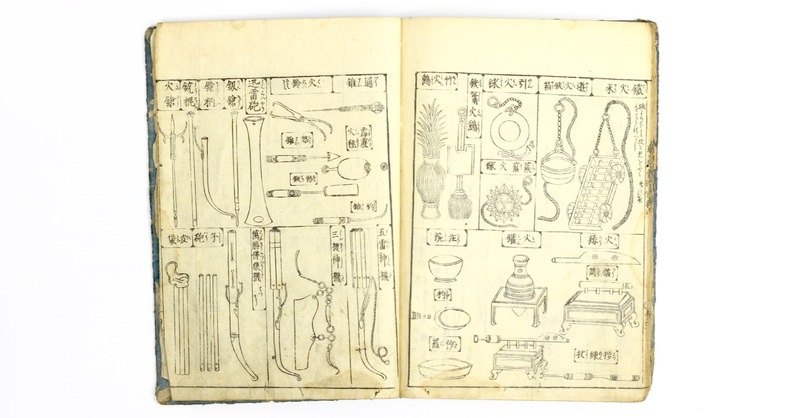 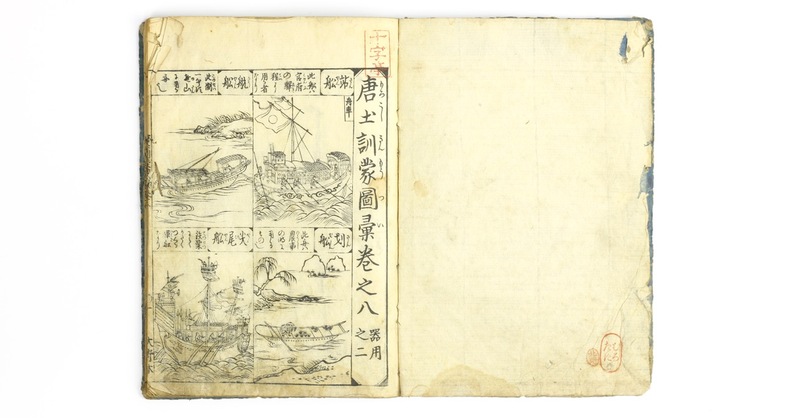 An 18th century Japanese woodblock printed book by the famous Tachibana Morikuni, with the subject of old Chinese military technology.